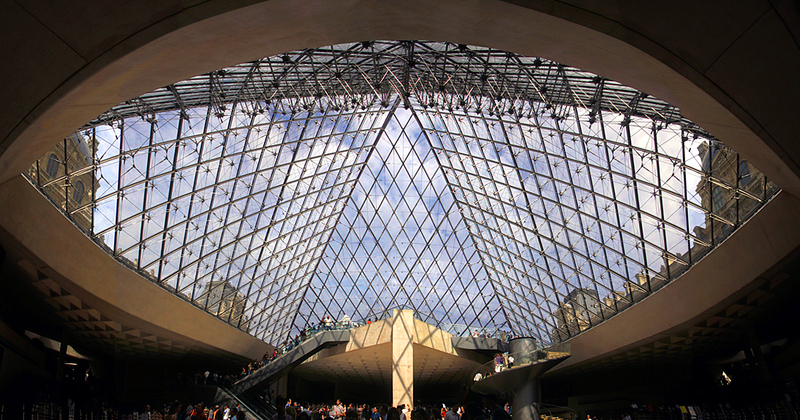 “CARROUSEL DU LOUVRE”: 300 ARTISTS AND GALLERIES. 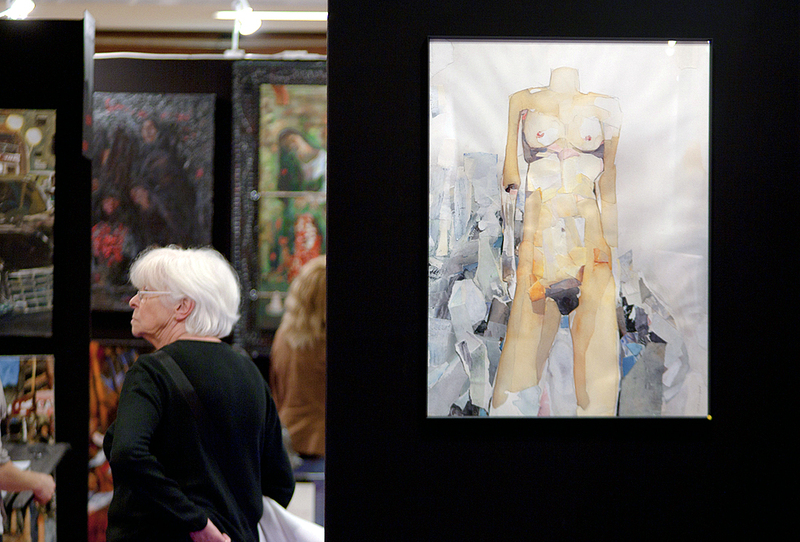 In the middle of October, Paris once again gathered artists, collectors and art-gallery owners from all countries and nationalities. 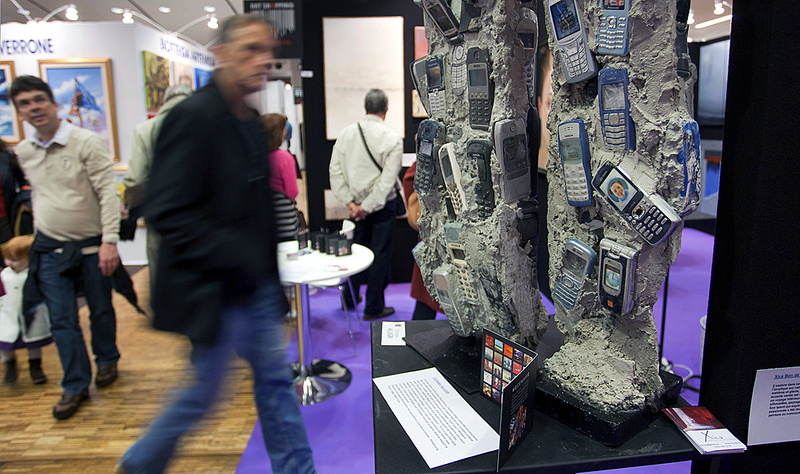 Grand Palais, Place Vendome, Esplanade des Invalides, Tuileries Gardens – all are recent exhibition spaces of the International Contemporary Art Fair (FIAC), with which in the “Carrousel du Louvre” a grand art-shopping took place for the ninth time. 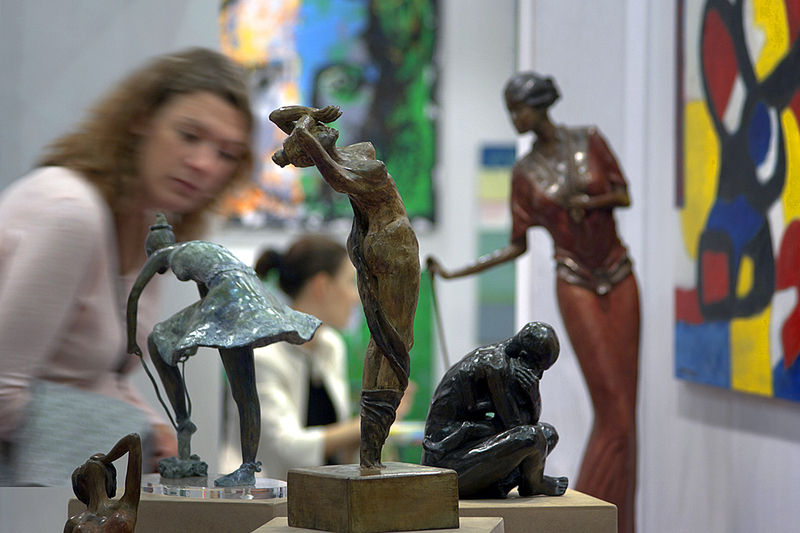 More than three hundred artists and gallerists representing them offered to sell their artworks: paintings, sculptures and graphic works of all directions and genres. The cost of the exhibition space is quite high (the basic price is 700 euros for the wall 200 x 150 cm), but the prestige of the brand “Louvre”, according to the participants, justifies these costs. 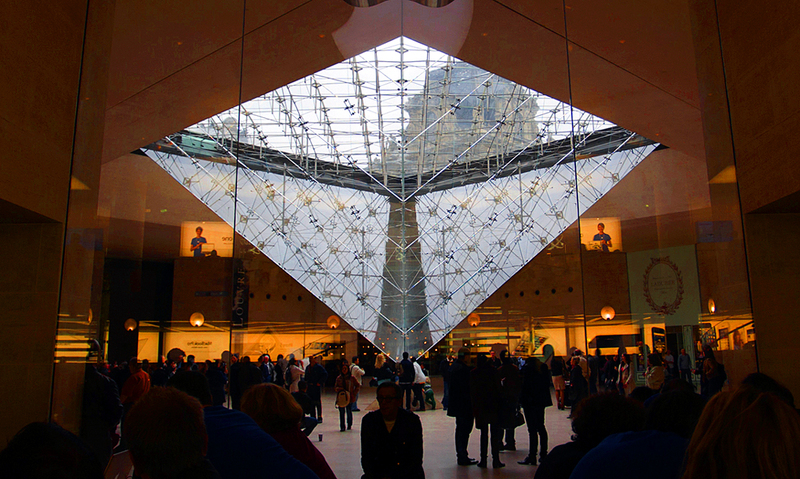 Within two days the huge underground shopping mall “Carrousel du Louvre”, famous for its impressive glass pyramid – dome located in front of Louvre museum (it was opened in October 1993), was visited by more than ten thousand customers, art lovers, and the merely curious public. • The exhibition this year was dominated by paintings for the more traditional purchasers: not too rich, not too sophisticated, aiming to decorate their own homes and not worried about creating a prestigious painting collection. 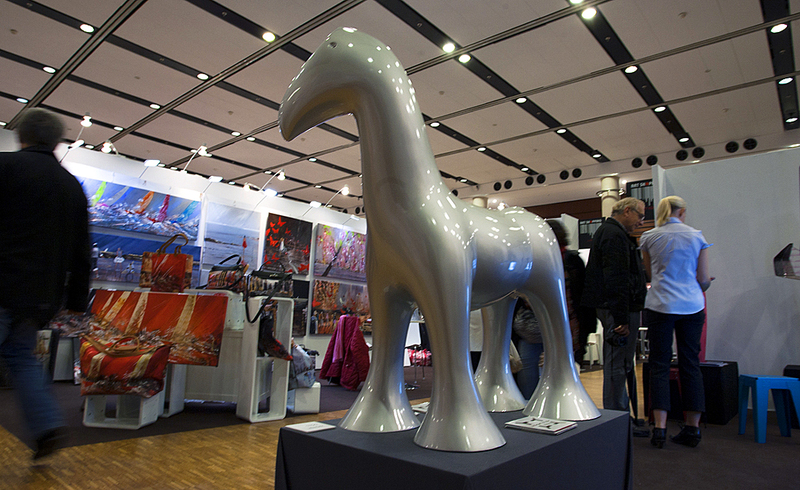 The basic price range was one to two thousand euro, as it emphasized the level of the exhibited artworks: without very serious accomplishments and without large claims. • Art objects were also exhibited, although nothing special or new: hypertrophied sneakers and puzzles, symbols of modern banalities and facelessness, variations of the same “Coca – Cola” by one of the fathers of pop art Andy Warhol, who in the last century proclaimed mass art as a simple way to make money. If we assume that visual art is an illustration of the aesthetics of the public consciousness, it seems that today this is the aesthetic of decorations on one hand and the aesthetics of ugliness on the other. And quite often at the heart of this obvious amateurism is the smearing of paints with a sole primitive purpose – to create a spot of color for the interior, without thoughts and feelings. “I am shocked that contemporary art does not allow young people to learn. 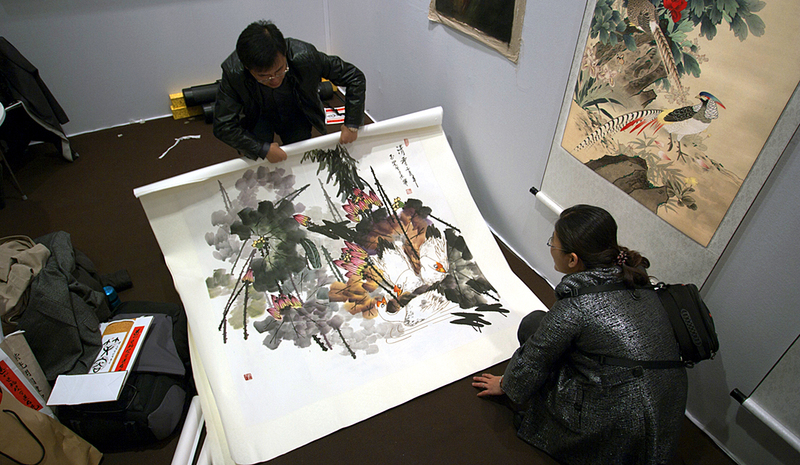 Today art schools teach the concept, but very few can teach good art technique. It amazes me that while people started drawing almost thirty thousand years ago, this skill has been practically lost over the last century,” – according to the modern French sculptor Mauro Corda. • However, Paris – it is always Paris and art-shopping for collectors is always akin to hunting, full of excitement and opportunity. The chance to find something real. This lady is not very impressed. There is always a chance to find something real. The Japanese style has no time limit. In a thousand years archaeologist will see our culture like this. Photo essay by photographer Vladimir Bazan.